1. Be a trusted partner to our clients by positively impacting health care outcomes through leading edge technology, exceptional clinical expertise, operational excellence, and personalized customer service. 2. Treat our employees with respect and as individuals to create an environment where they want to work and grow. "The NewScripts team is committed to making a difference in the long term care community. We pride our selves in being flexible and dependable." The mission of NewScripts Pharmacy is to provide the most accurate pharmacy services and the highest level of personalized customer service to improve quality of life while working in collaboration with other health care professionals. Staci leads the organization in its relentless commitment to providing its clients with pharmaceutical excellence. Staci started up NewScripts Pharmacy in 2016. Prior to starting up NewScripts Pharmacy Staci worked at UNM Sandoval Regional Medical Center Inpatient Hospital for 5 years as a Clinical Pharmacist. Prior to this Staci worked in Long-term Care Pharmacy for 10 years and retail Pharmacy to start her career. Throughout her career, Staci has demonstrated a keen focus on patient safety and quality care. As a registered pharmacist, Staci understands the important role of pharmacy within long-term care acute settings. Her focus on patient safety and quality care along with her well-rounded experience enables NewScripts Pharmacy to provide outstanding pharmaceutical care to the patients, residents and facilities that we serve. As President, David provides leadership and oversight for the direction and strategy of operations, sales and customer support.  David started up NewScripts Pharmacy in 2016. Prior to starting up NewScripts Pharmacy David worked at Sandia National Laboratory for 10 years. He was responsible for managing business operations with multi-million dollar portfolios and hundreds of staff members. Prior to this Mr. Newman worked for Intel Corporation for 15 years managing commodities for global operations with hundreds of millions in spends per year. He has over 20 years of management and operations experience. copyright 2017 newscripts pharmacy. all rights reserved.